Back in early September when the demo of the game Hard Reset was released I was eager to try it in stereo 3D mode with 3D Vision as the game had the potential to look really well with added sense of depth. Unfortunately it did not working well as it had issues with shadows, lights, 2D crosshair, 2D HUD elements etc., so I just tweeted about that and kind of forgot about the game up until now. The reason for that is the fact that there is a new patch version 1.2 for Hard Reset that does add support for Nvidia 3D Vision and three monitor Surround setups (however not specifically mentioning 3D Vision Surround). The patch for the game should autoinstall over Steam, so there is nothing special that you need to do in order to get the game working properly in stereoscopic 3D mode with 3D Vision. Below you can find all the new things and changes that you get with the patch 1.2 for the game. – New Survival Mode. Two new maps are available: ‘Arrival Hall’ and ‘Landing Pad’. – Survival Mode is available in all the difficulty levels selectable for Hard Reset Campaign. – Added Leaderboards for the Survival Mode. – Full Nvidia 3D Vision support. – Full Nvidia Surround support. – Support for multiple displays – recommended 3 display adapters for best effects, and several non-standard resolution modes. – To select the triple display mode in the game, change the Aspect Ratio to ‘Other’ in the Video Options menu, then select a resolution you wish to use. – Note that the ‘Other’ mode will be available only if you have 3 displays connected to your PC. – Added a ‘Details’ tab in the Profile screen – now you are able to check the score you achieved on each of the game’s levels. – During bullettime, falling down won’t cause additional damage to players. – Changed the way how the Mortar Cyborgs react to player in vicinity. – Crawling gorillas will explode when trying to jump off a higher place. – Changed the way how Melee Cyborgs behave – now you are able to avoid their attacks while sprinting – their aoe frontal cone was lowered. – All the crosshairs will be displayed in an appropriate way to objects in front of the player for 3D Vision. – Changed the way how the messages and hints are displayed to a way more appropriate for 3D Vision. – Changed the way how dynamic lightning is rendered on decals. – Changed the way how weapons are displayed on screen. – Changed the way how the HUD is displayed both in 3d and on multiple displays. – Improved support for dual SLI users. Guys get this game it’s Awesome! Not only is it fun to play but it’s a pc exclusive with 3D support done by an indie developer. How often can we say that as pc gamers? Looks like a silly fun game. I started to but this last week when it was on sale on steam for $15….. I had played the demo and only got acceptable 3D with DDD virtual 3D mode. Eh, it should be on sale again within a month or 2. 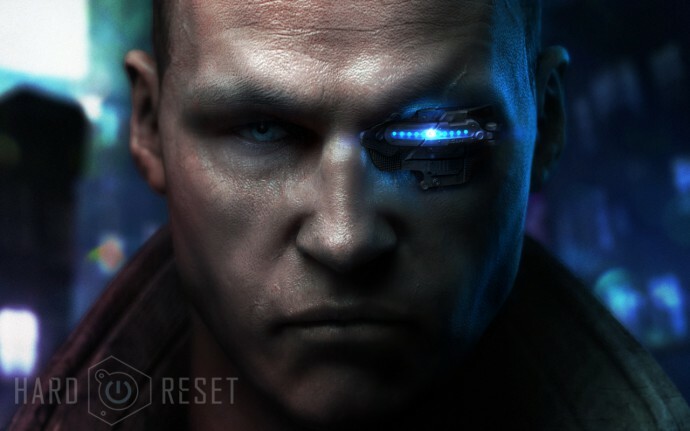 Hard Reset is on sale at green man gaming for $15 and will register to your steam account. i agree this game rocks!!!! ive played on 3D but i think with version 1.1 and 3D looks sleek.